Confidential, Bonuses and Allowances each month. 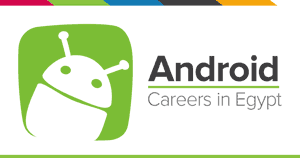 We are looking for Android Developers who possesse passion for pushing mobile technologies to the limits. Responsible for all aspects of product development from the initial specification, through to developing, testing and launching. Works closely with the client and mobile development team to identify application development solutions. Implements best practices for developing Android applications targeting multiple phone and tablet devices. Assists in the design and development of mobile applications. Develops detailed knowledge of all products, product architecture and development tools. Documents, tests, implements and provides on-going support for the applications. Anticipates internal and/or external business challenges and/or regulatory issues; recommends process, product or service improvements. Deals with tight deadlines and changing requirements and priorities. Design, build, test, and deploy Android applications working throughout the entire life-cycle of the app from idea to delivery. Work closely with other mobile app developers to ensure conformity among all team members and all platforms. Work closely with web developers to coordinate and ensure efficiency of communication between web servers and apps. Gather and understand requirements, and translate them into efficient solutions.